There are strategies, we, as parents can do that will help set our children up for the most restorative and healthy sleep they can achieve. Respecting our children’s sleep needs, keeping our child on an age-appropriate sleep schedule, and creating an ideal sleep environment are my top 3. Today I am going to explain what an ideal sleep environment should look like. Enjoy! 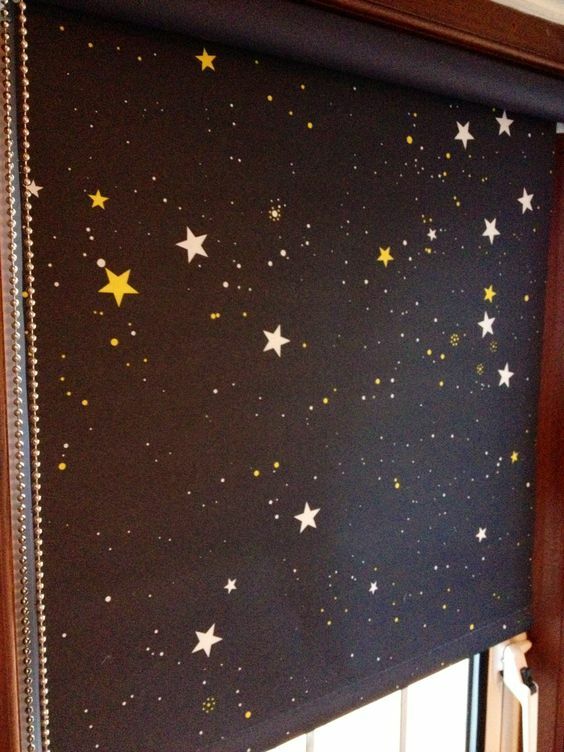 DIM IT- You want Baby’s room to be DARK. A young child does not have any negative association with the dark nor are they scared of the dark. They have just spent 9 long months in Mom’s pitch black womb. Ensuring Baby’s bedroom is dark for sleep times will help establish their circadian rhythms and aid in smoothing out day/night confusion. A dark bedroom allows the body to release melatonin; the sleep hormone responsible for helping the body control sleep/wake cycles. The release of this hormone is determined by how much light enters the eye. This may be one reason why your child is having issues napping during the day if nighttime sleep is a dream. 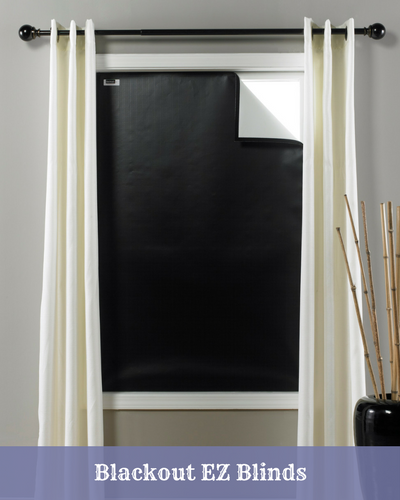 These blackout blinds are my #1 choice to get my children's rooms dark. As your baby grows into a toddler, it's normal for your child to start to request some form of light. If you are going to incorporate a night light into your child’s sleep environment, I suggest using warmer tones (think red or orange) rather than cold tones (blue and white) which could offset melatonin production. COOL IT- The ideal temperature for sleep is 19-21C/ 69-73 F. Our internal temperature decreases while we sleep. Ensuring Baby’s bedroom is on the cooler side will encourage deeper sleep. If your child’s bedroom is too warm or too cold, his/her body will be expelling energy to get their internal temperature to the appropriate level, thus resulting in a lower quality of sleep. SKIP IT- The American Academy of Pediatrics recommend that nothing be in your child’s crib for their first year of life. You don’t want any loose blankets or pillows in the crib. Click here to read more. SUIT IT- It’s important to not overdress your child for sleep times. Studies show there is an increased risk of SIDS associated with excessive clothing or blankets as well as a higher room temperature. 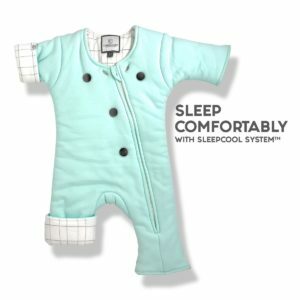 Dressing your child in a sleepsack will ensure your child isn’t cold throughout the night, without causing any safety hazards. On a side note- we want to keep Baby in a crib until as close to 3 years as possible- it’s darn near impossible to scale out of a crib when wearing a sleepsack! ADD IT- White noise is a MUST! Children become overstimulated easily because everything is new to a baby. White noise helps block out any external stimulation and external sounds. Super handy to have if there are multiple children in the family (who don’t understand the concept of being quiet when baby sleeps) or if you live on a busy street. Ensure the white noise is continuous (if white noise shuts off after 30 mins, baby will wake up then too), placed a minimum 6 feet from the crib and about the volume level as a shower running in a washroom. You can read my blog on white noise here. Implementing the above tips will give your child a peaceful, safe and conducive to sleep environment. Your child is not going to become dependent on the above and will be able to sleep in a room that isn’t pitch black and without white noise. 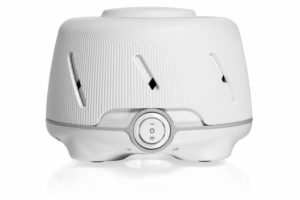 But, why not provide your child with the tools that will aid in getting the healthiest most restorative sleep you can!? If your child could talk- they would be thanking you! So those BlackOutEZ curtains don’t have a Canadian site? $40 just for shipping to Canada is insane; that’s more than the blinds themselves!. 🙁 You haven’t found anything similar in Grande Prairie at all? They are based out of the states, which is why shipping is so much. I have voiced my concerns to them regarding the shipping prices more than once!